It wasn’t pretty, but it worked. The Cubs beat the Marlins 8-4 to win the first game of the year. There was a time where it was nip and tuck for a few innings, but the bullpen held the Marlins scoreless for over five innings and Kyle Schwarber and Tommy La Stella gave the club some much-needed insurance in the late innings. 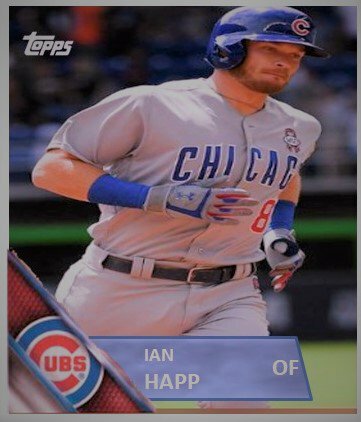 Ian Happ – He had a nice little leadoff home run. Anthony Rizzo – A two-run dinger was gone quick. Jason Heyward – He had an RBI, got on base a couple times, and made a couple nice plays in the field. 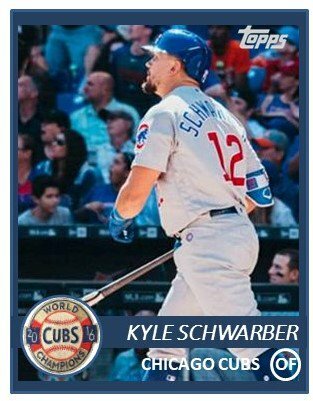 Kyle Schwarber – His home run gave the Cubs a little breathing room and it was a no doubter. Tommy La Stella – His nickname has been changed to “Bounce House” per the Twitterverse (aka Randall Sanders). His 2 run double sealed things. Steve Cishek – He came in and stopped the bleeding and even got out of his own trouble. The rest of the bullpen – They were a lot of fun to watch as they did what Theo wanted – they threw strikes. 5.2 scoreless innings will do. There are a couple things to take away from today’s game. One – Although Miami is probably not very good, they came out and competed. They took advantage of Jon Lester not being able to control the strike zone and to score four runs. Teams are not going to lay down and die against the Cubs. The Cubs are going to have to keep the pedal pushed down. Two – All in all, it was a good day. It was exciting. The Cubs hit three homeruns and they came away flying the W.